If a Canadian movie has a Best Foreign Language Film nomination, do you think I’m going to go see it? Of course I’m going to go see it. For the second year in a row and for the sixth time ever, a Canadian film was nominated for an Oscar in that category. This year’s nominee is titled Monsieur Lazhar. The film starts with what is to be a typical day at a Catholic elementary school. A boy named Simon is getting the milk for the day. As he walks into his classroom alone, he discovers his teacher Martine hanging. This is very hard for the students and the school. One of the difficulties is finding a new teacher for the students of the deceased teacher’s class. In walks Bachir Lazhar, an Algerian immigrant. They are hesitant at first but they agree to hire him. Known to few is that Bachir’s immigration status is in question by the courts. A package he receives comes into question. The immigration court asks him why he won’t return since ‘Algeria is back to normal’ but he replies “Nothing is ever really normal in Algeria.” The interrogations eventually get frustrating to the point Bachir admits of the fire in Algiers that killed his wife and children back in the 90’s. That fire was no accident. The class tries to move on as usual. For some students, it goes fine. For others like Simon and Alice, who witnessed their teacher hanging, it’s difficult and painful. Alice is more vocal about her difficulties. She makes a speech in class about violence and how the hanging has an effect. She also has a softer side and develops a liking for Monsieur Lazhar, even learning about his home city of Algiers. Simon is more reserved and difficult. He’s not the same since the hanging and appears like he has something to let out but can’t. He even resorts to fights with other students. Home life isn’t easy for him because his parents are rarely there. However something has to be done as it’s discovered he has a picture of Martine which he drew angel wings and a noose on. Dealing with the students is not an easy task to do either. The elementary school is worried about the suicide being brought out into the open. Plus teachers are now under strict limits over what to deal with students’ issue and how to deal with them. The new laws set twenty years ago changed lots to how a teacher can function towards a student. This is hard for Bachir as he wants the students to heal from this trauma. Especially Simon, whom the teachers are considering expelling. We learn shortly before Martine hung herself, Simon was hugged by Martine while he was crying but told his parents she kissed him. The parents came down hard on her. What happens in the end is one scenario ends on a bright note and another scenario ends on a low note for Bachir. In the end we get a turnaround that’s more valuable than Bachir keeping his job as a teacher. Something that the school board could never give the children. The role of Monsieur Lazhar was that of a man who would help bring help when it was needed unexpectedly. Right at the beginning of his teaching he would tell the meaning of his name: “Lucky” and “Tell the good news,” In the end, he was the lucky one who would give the good news to the children. The students in turn would be the lucky ones as he would help the most troubled of the students heal from the trauma. He would succeed where the school board and the counselor would fail. Even in the end, his impulsive helping of the students would be too much for the school to handle. The ending would show the common belief that no good deed goes unpunished but it’s not without its rewards. Bachir Lazhar would give to the students and he would receive from them as well. His teaching of the students would also help him in terms of his own healing from the loss of his own family. The best quality of the movie was in its gentle storytelling. We have a situation of a troubled school being taught by a teacher with a troubled past of his own. He faces two pressures of keeping his new-found job, keeping the peace of his classroom since the suicide, maintaining the peace of the school and being able to stay in Canada to avoid persecution back home in Algeria. All of this was told in a gentle manner that would keep the audience intrigued and hoping for the best for Bachir Lazhar and for Simon and Alice. That was its best quality. The acting overall was excellent and stuck to their parts well without coming across as showy or phony. Mohammed Fellag was excellent playing a teacher with a troubled past thousands of miles away. The children were also good as they played genuine child roles instead of the typical cutesy acting Hollywood normally gives them. Their feelings, traumas and actions were not over-the-top either. The directing and scriptwriting of Phillippe Falardeau was also well-written, although not a standout. Known to few, Monsieur Lazhar is actually an adaptation of a one-man monologue. Falardeau did a very good job in creating and directing a script with a multitude of actors. He did a very smart job in making the story very real. Intersting how Monsieur Lazhar gives Canadian film a unique achievement. This is the first time Canadian entries in the Best Foreign Language Film category has been nominated for two years in a row. Last year was Incendies. Interestingly two of the three producers of Monsieur Lazhar also produced Incendies. The Oscar nomination isn’t the only acclaim Monsieur Lazhar has received. The film also won the Viewers Choice Award for Best Canadian Film at the Toronto Film Festival, Best Film award at the Valladolid Film Festival and has been nominated for nine Genie Awards, Canada’s national award for filmmaking excellence. Surprisingly, it was not shown at the Vancouver Film Festival. It’s a shame because I would have liked to have seen it if it was out then. Monsieur Lazhar is a film that starts out on a dark subject but it ends on a bittersweet positive note. The warmth of Monsieur Lazhar reminds us how people can succeed where the system fails. We need more people like Monsieur Lazhar out there. I know many of you would be nervous at first of attending a movie like Extremely Loud And Incredibly Close. 9/11 films aren’t exactly crowd-winners. Ever since United 93 and even up to now, it still isn’t. It’s still a tense topic to this day and doesn’t make for good subject matter for people to see a movie about. 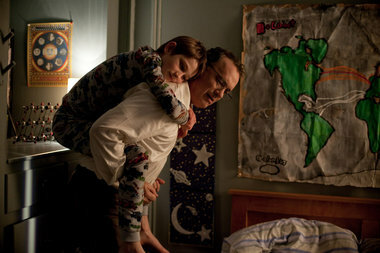 Nevertheless Extremely Loud And Incredibly Close is a good film of its own, if imperfect. Oskar Schell is a young boy who’s a smart but fearful and eccentric brainiac often mistaken for having Asperger’s. However he’s dealing with an inner pain. His father Thomas died in the Twin Towers on 9/11, a day Oskar refers to as ‘the worst day’. His father was a jeweller who spent a lot of time with Oskar nurturing his creative and eccentric quest for knowledge. He would create puzzles, help him develop his own business cards (which lists him as inventor, Francophile and pacifist), have oxymoron challenges while practising karate, and even have scavenger hunts. You could tell Oskar is still very much an intellectual now. He keeps his collection of butterflies. He has his collection of facts and figures. He’s even intellectual in his lewd talk: “Succotash my Balzac, dipshiitake!” Yeah, real charming. However his father’s death still upsets him. He died in the first tower and his body was never found. His mother held a fake funeral with an empty coffin in hopes that it would help them both heal. But Oskar is still hurting and lonely to the point he has distanced himself from his mother and even hurts himself physically. He still has the answering machine of the last six messages his father left before he was killed and replays all but the sixth and last one often, something he has hidden from his mother and replaced with a new answering machine on ‘the worst day’. The only person he talks to regularly is his grandmother who lives in an apartment next door..He feels that the missing ‘puzzle piece’ from the last scavenger hunt he had with his father could keep him from losing the spirit of his father altogether. The quest is to find out what to search for and find it. One year later while Oskar goes through his father’s clothes and olf belongings, he accidentally breaks a vase. In it is a key inside a small envelope with the name black. Oskar believes this key may be the clue to the last scavenger hunt. He looks in the phone book for all the people in New York named Black: over 400 in total. He vows to search every Saturday for the person with the last name Black who knew his father and refuses to quit until its done. He won’t take any public transit, has a camera to keep a scrapbook of all the Blacks he sees, and he walks shaking his tambourine to keep his sanity while dealing with the world. The first Black he sees is Abby Black, a woman just recently divorced form her husband. She says he doesn’t know his father. He visits other people named Black who don’t know his father but reach out to him: one hugs, one offers her prayer group to pray over him, another is a cross dresser, another gives him a ride upon her horse. One day, Oskar goes to visit his grandmother but meets the man his grandmother refers to as ‘the renter’.’The renter’ doesn’t talk because of witnessing a bombing during his childhood. The two become friends in the search and he learns from the man when to intervene and how to face his fears. Oskar stars to sens that the man is in fact his grandfather. Oskar even plays the messages from ‘the worst day’ for the stranger but he cannot bear to hear and demands it to stop before hearing the sixth and last message. The renter than moves out and begs Oskar not to search anymore. When all seemed lost, Oskar notes a phone number on the newspaper clipping his father left a hint. It returns him to Abby Black. It turns out her ex-husband, whom she was divorcing the first time she met Oskar, may know about the key. He does meet with Mr. Black and learns about the key only to learn it’s not for Oskar at all. Disappointed and disheartened, Oskar destroys everything from his search until he learns that his mother was secretly helping him all along and even contacted all the Blacks even before Oskar had visited. Oskar compiles a scrapbook of his search and is able to find the last link of the scavenger hunt in the most overlooked of places. His fears had been conquered. One strength of the movie is that it uses a creative puzzle and the Oskar’s intellectual way of thinking to help Oskar through the healing process and conquering the simplest of his fears. The scavenger hunt becomes like the journey to healing and along the way the healing comes in the moment he least expects it. The scavenger hunt is also that connection where Oskar searches for that connection that keeps him from being completely lost form his father. He finds it and learns that his bond with his father is still alive and something that ‘the worst day’ can never take away. Another thing Oskar receives is the love and care from people he never met before. It was all the people with the surname Black he encountered that shares some amount of care for him from the start of his journey to the end. It was also where his relationship with his mother heals. It was her own help with Oskar’s mission that showed the bond between the two never died. It also helped her heal too. One glitch with the movie is that it doesn’t make the best of efforts of being watchable. Yes, the movie has the theme of healing but many times it focuses on the pain Oskar and his mother are going through. Especially the scenes where Oskar is shown with self-inflicted scabs. There were many times I was sitting there feeling that there would be many movie audients turned off this movie. People who have lost loved ones in 9/11 may themselves find the movie uncomfortable to watch too. Another glitch is that many feel this is a flawed look at autism. There’s no mention of autism in the movie but it has been sensed by many critics. Tom Hanks did a good job of character acting as Thomas Schell, the intellectual father who always taught in character. Sandra Bullock was also very good as the grieving wife and mother. Max von Sydow was the biggest standout amongst the supporting actors playing the mute renter. Interesting how silence can make a role more that dialogue in a lot of cases. Without a doubt, the movie belonged to young Thomas Horn. This is his first ever acting role and he shines as the boy who’s both brilliant, puzzled, grieving, driven and eccentric. He doesn’t play a sugar-coated child character but one who’s very three-dimensional. Stephen Daldry is one lucky director. Ever since his first feature Billy Elliot, each of his four feature films have earned him either a Best Director Oscar nomination and/or receive Best Picture nomination. This is his fourth feature but the first one where he wasn’t nominated for Best Director. Nevertheless he does another excellent job in directing. Eric Roth does and excellent, if not glitchy, scriptwriting effort that makes this story as much our puzzle as it is Oskar’s puzzle. The score from Alexandre Desplat also fit the movie well. Extremely Loud And Incredibly Close is a good adaptation of a 9/11 novel but it’s not the best at being a watchable 9/11 movie which has always been a difficult task. The effort to create a mostly watchable 9/11 movie continues. And there you have it. I have now finished reviewing all the Best Picture nominees of 2011. My Oscar predictions are coming Friday. 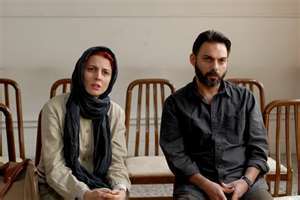 A Separation is an Iranian film with a lot of huge buzz. It won the Golden Bear Award at the Berlin Film Festival. It won the Rogers People’s Choice Award at the Vancouver Film Festival. It has already won the Golden Globe for Best Foreign Language Film. For this year’s Oscars, it was not only nominated in that category but Best Original Screenplay as well. The film begins with Nader and Simin: a couple married for 14 years with an 11 year-old daughter filing for divorce. Simin wasn’t to pursue her career goals in another country and take her daughter with her. Nader wants to stay as he has a father with Alzheimer’s to deal with. The judge first rejects the grounds. In the meantime, Simin moves in with her father and recommends Nader to employ Razieh; a young, pregnant and deeply religious woman from a poor area to look after his father. Nader can’t handle the father on his own as he has a buy job at a bank and he has to look after Termeh, his daughter. Meanwhile Razieh’s hot-tempered husband Houjat is unemployed for months and owes creditors a huge amount. Nader even has the opportunity to hire Houjat at the bank but is jailed the next day for what he owes. During the time nursing, Razieh learns that looking after Nader’s father is a big challenge, both physically and religiously. She can only do so much because of her pregnancy. She also has to consult a Muslim cleric if it’s a sin to do certain duties like change the father’s soiled pants. One day Razieh finds the father out on the streets. She has to cross a dangerous intersection to get him back. We only see her take the father back. The next day, Nader returns home to find his father lying on the opposite side of the bed with his arm tied to the bed post. He’s alive but Nader is furious. He’s even angrier to learn that there’s missing money and accuses Razieh of stealing. He fires her despite her please. She comes back to plead again but Nader pushes her out of the door. We later hear some loud thumping outside and Razieh walking away. The next day, Simin learns that Razieh is in the hospital. She and Nader go there to find out she suffered a miscarriage. A court is assigned to decide if Nader knew of her pregnancy and caused the miscarriage. If convicted, he could face from one to three years in prison. Accusations fly. Nader accuses Razieh of neglecting his father. Houjat is angry and threatens Nader and his family. We learn that Houjat is deeply depressed, self-destructive and on antidepressants. Razieh left the house that day because she had to see a doctor. This leaves Nader to think Houjat is abusive and may be the one to cause the miscarriage. Termeh lies to protect Nader and Simin tries to arrange for a financial deal between the couple. Nader refutes because he feels it will be like admitting guilt. Nader later tells Termeh personally that he did in fact know of Razieh pregnancy. Razieh later reveals she was hit by a car the day before she was fired, questioning what really caused the miscarriage. Finally everyone meets at the home of Razieh and Houjat including the creditors. Nader is willing to make the cheque out to Houjat on one condition, that she swears by the Koran that his actions that day were the cause of the miscarriage. Razieh can’t do it because she believes it’s a sin and that causes Houjat to break down physically and emotionally. The film’s last scene takes place in the courtroom as Nader and Simin’s separation is to be finalized. Termeh is given the option to decide which parent to live with. She says she made up her mind but wants her parents outside. The film ends with Nader and Simin waiting outside while families are shown out in the halls waiting. I don’t have first-hand knowledge of the marriage situation in Iran but I believe that this film is trying to make a statement about the modern day difficulties of marriage and divorce in Iran. Divorce has been a common theme in a lot of films like Kramer vs. Kramer but it’s over here where we see an angle on divorce in Iran. We see one couple separating while another couple staying together but struggling with their issues. There’s a lot of things causing friction in both couples. One has a career pursuit in another country, another has a sick father to look after. One has to work as a nurse. Another has been unemployed for months. You see the friction happening throughout the movie. It starts with the scene of Nader and Simin in court getting the divorce started and it ends as the divorce is finalized. That ending scene with the credits rolling as Nader and Simin wait for their daughter’s decision while other families are out in the halls waiting and we could even hear shouts of another couple in court is probably a statement about the modern difficulties of marriage in Iran. Mind you it’s not completely about law and divorce. There are other examples where the law provides difficulties and not strictly in the area of divorce, like providing bail upon guilt to prove innocence and avoid a lengthy prison term. Even the scenes where Houjat has creditors to deal with paints a picture. Another key element in the movie is the use of the Koran. As most of you know, I ran is a country with a strong Muslim ethic that’s even included in its own constitution. The Koran plays a huge role in the everyday lives of people in Iran. 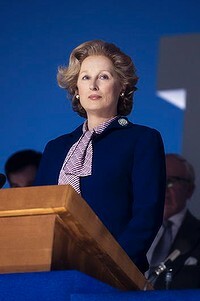 The influence of the Koran is very present in the movie. We see how the maid couldn’t clean the soiled clothes of the father because it was against her religion. We hear mention of the Koran and God in court. We see that Termeh has to attend and all-girls school. We see how Nader uses the Koran to get the whole truth out about the miscarriage. One thing we don’t see is the Koran solving the marriages. We see the couples either continue to be split apart or going through heavier friction. Without a doubt, the standout qualities of the film were the direction and writing of Asghar Farhadi. He did an excellent job of creating a good story out of a hot topic. The acting of Peyman Maadi and Leila Hatami was excellent too. Very genuine without any showiness. Excellent supporting performances played by Sareh Beyat and Shahab Hosseini who played the other couple in the middle. There was also excellent acting from Sarina Farhadi, Asghar’s daughter, who played Termeh, the daughter caught in the middle. The use of no score until the very end worked as a benefit for the movie because it allowed the audience feel the intensity of the story. A Separation shows how far Iranian cinema has come. Iran’s first breakthrough came back in 1998 when Children Of Heaven was a modest hit. It was Iran’s first nomination in the Best Foreign Language Film category and established director Majid Majidi as a top international director. Now A Separation is a huge favorite to win the Best Foreign Language Film category and Asghar Farhadi is the new name in Iranian cinema. It’s also surprising to see such subject matter portrayed in Iranian cinema. You think with Iran having law and order in such a strict fashion according to Muslim law, this film would’ve been banned or censored by the Ahmadinejad government. I’m not too familiar with free speech laws in Iran but I’m sure there’s a lot of censorship. If you see A Separation, you can easily see why it’s a huge favorite to win the Best Foreign Language Film Oscar. It has a excellently-written, excellently-acted story of a hot topic in its own country. Very deserving of the win indeed. The Descendants is a movie starring George Clooney which is set in Hawaii. But if you’re expecting this movie to be an escapist holiday getaway, you’re wrong. It’s about real-life pain and heartache happening in an island paradise. Matt King is a Honolulu-based lawyer who has to deal with the fact that his wife Elizabeth is in a hospital comatose from a boat racing accident. On top of that he has the issue of dealing with being the sole family member in charge of 25,000 acres of land on Kauai owned by his family for generations which will expire in seven years. The King family decided to sell the land to a developer, something Matt supports. Matt was never really close with his two daughters and always considers himself to be the ‘back-up parent’. With Elizabeth in a coma, he now has to be the main parent and deal with things like youngest daughter Scottie’s inappropriate behavior with other children and teenage daughter Alex’s drinking. As if his ailing wife and the future of his family’s land isn’t enough to deal with. Matt had always considered himself a lousy husband and make a mental promise to Elizabeth that he will be a better husband to her once she’s better. Then the news drops. She will never recover. She also has it in her will that she be disconnected shortly from her life support. Matt will no longer be the back-up parents. He decides to tell Alex before Scottie. Alex gives the shocking news that Elizabeth was in an affair just before the accident. He later learns the ‘other man’ is Brian Speer. Matt makes a surprising decision: to find Brian and give him the news the Elizabeth is dying and a chance to say goodbye. He learns that Matt is a real estate agent vacationing in Kauai. After telling the family of Elizabeth’s eventual death, he goes to Kauai with his daughters and Alex’s slacker guy friend Sid to find Brian. He soon finds Brian jogging on a beach and entering into his family’s vacation resort. Matt also learns from Cousin Hugh that Brian has connections to the developer who they’re about to sell their land to. If sold, Brian Speer will gain a lot of money from commission once it’s developed. Before confronting Brian, Matt introduces himself to Brian’s wife Judy. Soon Matt is able to meet alone with Brian. He drops him the news he’s Elizabeth’s husband and she will die soon. Brian is shocked of the whole thing. He apologizes for the grief it’s caused the family but that the affair was only a fling and he loves his wife and sons. The fate of the land is finally determined.. The cousins meet to vote on the land mostly in favor of the developer but Matt decides to keep the land for other reasons. 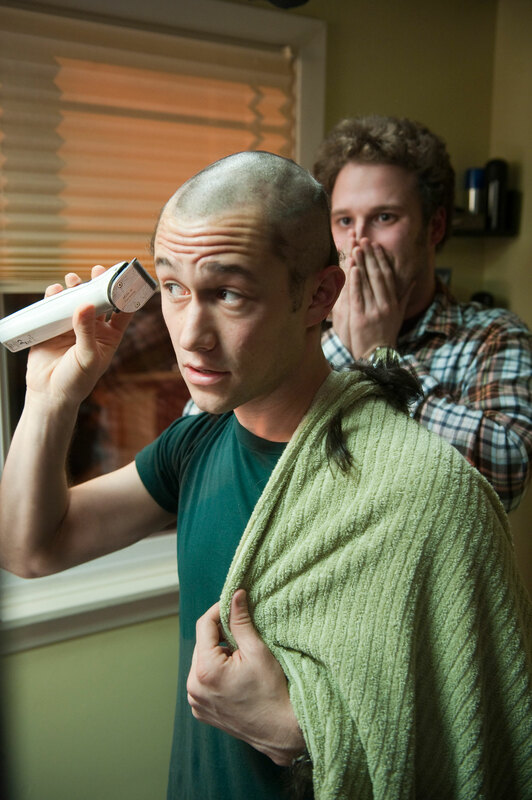 He doesn’t regret it even if it means potential lawsuits from Hugh or other cousins. With the issue of the land over, Matt can now focus solely on the last days of Elizabeth as she’s taken off life support. Scottie hears the news from a nurse. Sid, who first appeared like an idiot, is now a figure of moral support for the family. Elizabeth’s father tells Matt he should have been a more devoted husband and father and describes Elizabeth as ‘good and faithful’. Matt expects Brian Speer to show up but it’s wife Judy instead. Matt is shocked but Judy is now aware of the divorce. She gives Elizabeth flowers and says she forgives her even though she should hate her for destroying her happy home. Finally after Alex and Scottie say their last goodbyes to Elizabeth, Matt comes to terms with all that’s happened and all Elizabeth has done and gives her a goodbye kiss. 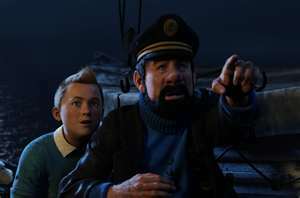 The movie ends with a scene showing that Matt is now no longer the back-up parent. The best quality of the movie is that it deals with a family problem very likely to happen, if not common enough already. A wife from a marriage that’s already failing is about to die. The husband finds out his wife cheated on her while she’s in a coma with only days remaining. A lot of times, Alexander Payne has focused on stories of people that were either failures or felt like failures. This is a story of a husband and father who is a success as a realtor but paid the price of his success with a failing marriage. Now with his wife dying, he has to confront the fact that she failed him as much as he failed her. He’s forced to confront the fact that he would have to be the full-time parents now that his wife will die. It’s also on the verge of what could be the biggest break of his Real Estate career and the biggest break for a family business. The impending tragedy mixed with lucrative opportunity mix well in creating a story that succeeds in telling a lot about ourselves and our own feelings. Maybe this situation could be happening to an audient who sees this movie. It also has an important element about forgiveness. For so long Matt thought he was the bad guy and he failed Elizabeth. Then he learns that Elizabeth was the dishonest one. Confronting the sudden fact that one’s dying wife was cheating is not an easy thing to sort out. She’s dying but she was unfaithful. Matt makes a lot of surprising decisions in that factor both on the future of his family’s land and to do with Brian. It’s surprising to see the husband of the cheating wife confront the ‘other man’, tell him she’s dying and offer a chance to say goodbye. It’s also surprising to see Brian’s wife, the wife caught in the mess, confront the dying ‘other woman’ and say that she forgives her despite the pain she caused. Forgiveness is not easy. Necessary but not easy. George Clooney again shines. This is the best effort I’ve seen him do that involved a multitude of emotions and feelings. This could be his best performance yet. Even though none of the supporting performances were at the same performance level as George, the two best supporting performances came from Shailene Woodley as the oldest daughter Alex and Judy Greer as the wife of Brian Speer. Alexander Payne did an excellent job of directing and co-writing the script with Nat Faxon and Jim Rash. Payne has always specialized in including the story’s region and its charms in stories of people’s failures and difficulties. About Schmidt captured the charm of the American prairies. Sideways captured the charm of California’s wine country. Now The Descendants captures the charm of Hawaii while dealing with the impending death of a cheating wife and mother. Again Payne directs it to perfection. That scene around the beginning which shows homelessness in Hawaii sure says something about a place we all call and ‘island paradise’. The script’s plot and atmosphere combine perfectly to make the story of family problems in an island paradise work. The script’s mix with dramatic and comedic elements as well as some genuinely touching moments makes a situation like this easier to watch on the big screen. The addition of Hawaiian music to the movie also added to its charm. Those lucky enough to see it will be glad they did. The Descendants is excellently well-acted, well-directed, well-adapted drama. It features a situation that could be more common than we think and it shines. Definitely worth seeing. Okay, this is one of my delayed movie reviews. There will be three more to come. I saw it weeks before but I’m sure many of you could now see it in a second-run theatre before you can get the DVD or Netflix file. Those of you who have seen the first Sherlock Holmes starring Robert Downey Jr. only received one part of the story. Sherlock Holmes: A Game Of Shadows picks up where it left off. It’s not an adaptation of the Sherlock Holmes novel but an independent story of Sherlock Holmes that is able to entertain. 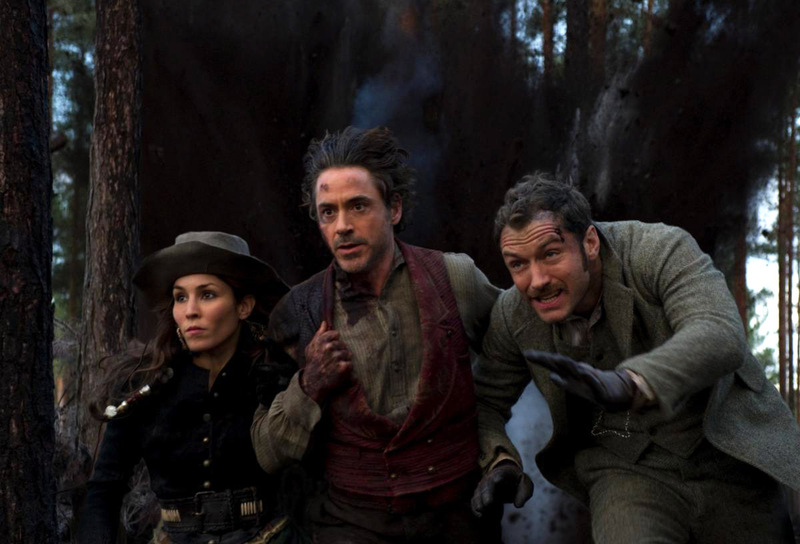 The movie is full of tricks, foiled killings and even successful incidents that lead Holmes to solve his next mystery. A bomb meant for Dr. Hoffmanstahl from Professor Moriarty is detonated. Adler is murdered by Moriarty who thinks she did it out of a love for Holmes. The murders and bombings surrounding Moriarty is part of Holmes’ next case. Even Watson and his wife become part of this when Moriarty tells Holmes he killed Adler and the couple will be next if Holmes doesn’t stop. The couple is even attacked on a train by Moriarty’s men but Holmes, who followed them for protection, is able to foil the attackers and successfully protect the two. The two head to Paris to contact a gypsy who was to receive a letter from Adler. She becomes part of the detective team and leads them to an anarchist group she once belonged to only to learn of a plan to assassinate Moriarty via explosion. One search for a bomb lead to the wrong place. The bomb kills one of Moriarty’s business associates, allowing ownership to Moriarty of the businessman’s weapons factory in Germany. Each clue leads the three-Sherlock, Watson and the gypsy- to the factory. There they are tortured by Moriarty and his men and learn of his plan to own weapons factories to profit out of a World War he plans to start. They’re able to break free thanks to Watson and flee onto a moving train. However Holmes senses that Moriarty may be planning an incident at a peace summit in Switzerland to cause an international uproar. At the summit, Holmes learns of the true assassin who is disguised as an ambassador. Both Holmes and Moriarty go outside to discuss to their associates their plans. Both Watson and the gypsy are able to stop one of Moriarty’s men from assassinating. Holmes later revealed he replaced Moriarty’s diary with the plans and able to get Watson’s wife to decrypt the code of Moriarty’s. Mary forwards the information to an Inspector who’s able to claim the bulk of Moriarty’s assets. This would lead to a physical confrontation between Holmes and Moriarty over a waterfall, which leads to a surprise ending. A Game Of Shadows is partially influenced by A Final Problem, which is part of Arthur Conan Doyle’s series The Memoirs Of Sherlock Holmes but has been tailor made for the movie with a lot of twists and turns. It’s not necessary part of a chronological series but another story based on the characters. In fact the filmmakers intended for A Game Of Shadows to be a stand-alone film that did not require knowledge of the previous movie. The movie retains a lot of the charms of the first one but doesn’t seem to deliver the same thrills as the first. It does however maintain the same energy of humor as the first. Robert Downey Jr. is again able to keep the humor moviegoers will remember from the first. Jude Law, Rachel McAdams and Eddie Marsan also reprise their respective roles well too albeit for their brief time. The biggest new edition was Noomi Rapace as Simza the gypsy and she does a good job of her own at stealing scenes. The Mulroneys, Kieran and Michelle, did a good job in creating a humorous adventure with a lot of familiar thrills as the first but often felt like a maze that was confusing at times. Guy Ritchie did a good job in directing, if not the directing that stands out. Technically the sets and costumes were excellent in fitting the times. Even the guises worked well. And Hans Zimmer returned with a score that included parts of the original as well as some new material that fit the movie’s adventurous and humorous tone. Sherlock Holmes: A Game Of Shadows faced the same pressures as any sequel. In the end, the movie lacked the same level as the first in terms of its best qualities. One thing is while most sequels or follow up movies often lose the first movie’s best qualities A Game Of Shadows was still able to keep the original’s best qualities, if not match the original’s same level. Fans of the first will appreciate A Game Of Shadows and movie goers in general will find it a good relaxing time at the movies.